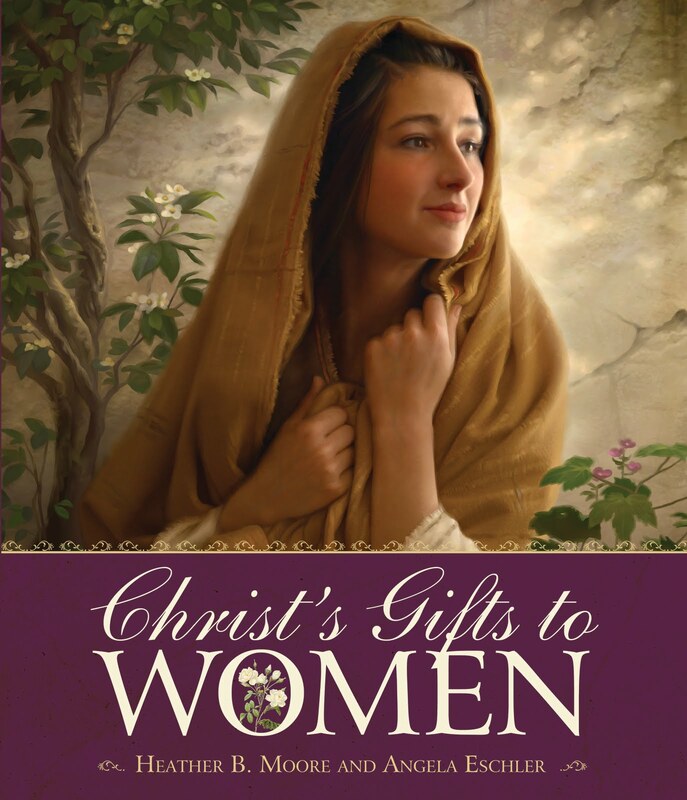 A few weeks ago I was contacted by Angela Eschler and Heather B. Moore and asked to review their new book "Christ's Gifts to Women." When I got the book the first thing I noticed was how beautiful it is. The cover is wonderful but the inside is even better. 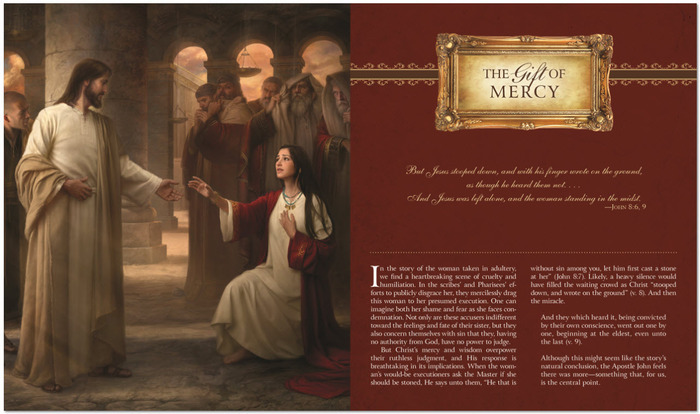 It is just full of beautiful pictures of Christ's interactions with women. 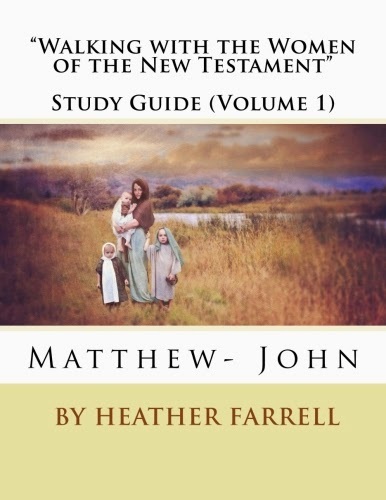 The design actually reminded me a lot of the "Daughters in My Kingdom" book, which I think is appropriate because this book documents Christ's interactions with the earliest Relief Society sisters, those of the New Testament. "At times, we as faithful Latter-day Saint women struggle to understand exactly who Christ is in our lives. We fail to comprehend the gifts He offers us as we strive to overcome the challenges we face. But Christ’s great message to us is that He has overcome this world—He has given us great gifts that empower and help us realize we are not alone." 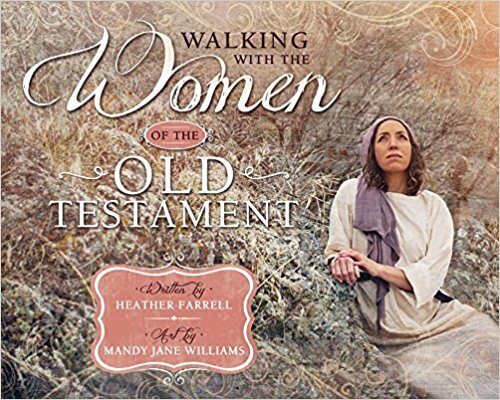 There are five chapters and each one tells the story of a woman who received a gift from Christ while He was on the earth. 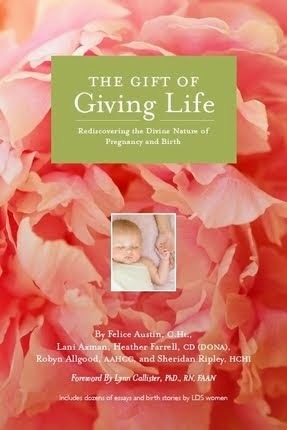 The book isn't very long but I was so touched by the powerful message that the authors have to share. I've done a lot of studying about all the women in this book, but they brought up ideas that I had never thought about. I found myself, about every other page, turning to my husband and saying "ooh, listen to this, ooh, listen to this." Eventually he told me to stop it and just let him read the book himself, which (because it isn't very long) I think he is actually going to do!
" As with our forgiven sister in ancient times, we can joyfully accept the gift He died to give us, knowing that even as the crowd of accusers seems to grow thick about us, He--the supreme Judge-- asks us, "Woman, where are... thine accusers?" (John 8:10). For in our daily efforts towards perfection, there is none authorized to stand there but Him. In judgement, we stand before the One who came "not... to condemn the world; but that the world through him might be saved" (John 3:17)." 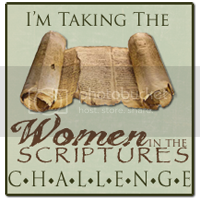 As I read that (and even as I typed it writing this post) I felt the spirit so strong. It really is beautiful that Christ is truly our ONLY judge. We don't have to worry about what the crowd thinks of us, or even be afraid of their stones, because Christ is the only one we have to answer to and He more merciful than we can ever imagine.
" The greater gift that Christ offers Mary and Martha is the gift of experience: to endure a trial until they come to know who He is and how His power can impact and dispel every moment of their fear or suffering. He offers the same today. As with all His gifts, the endowment of experience brings peace-- and yet, "not as the world giveth" (John 14:27). for its bestowal does not require that our particular trials be taken away." That was a powerful thought for me, and the authors helped me look at the story of Lazarus in a whole new way. I am so grateful for their insights because I won't be able to read these women's stories again without thinking about the added depth they provided. 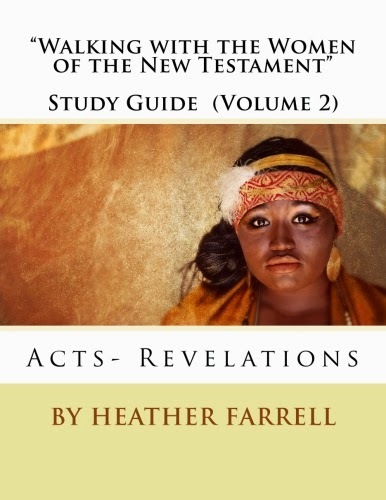 This book makes a wonderful addition to my library and is one that I am going to get a few more copies of to give away as gifts. 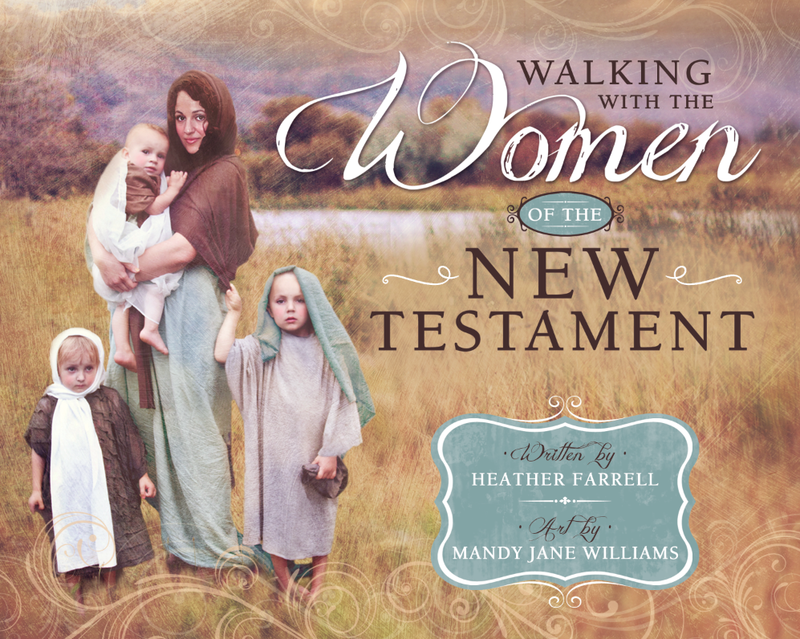 I can think of about a dozen women in my life who would drink all the beautiful truths this book contains. It would make an incredible Easter gift! Thank you Angela and Heather for letting me review it. Blog about this post on your own blog. Please leave me a comment telling me which ones you did (they can all be in the same comment). The giveaway will end April 10th at Midnight! This is the story of my repeat cesarean. It was a miracle for me in so many ways. I have experienced many miracles in the last year but the biggest one for me happened during the month between my husband's diagnosis with a brain tumor and his surgery. We were in the middle of building our house and by we, I don't mean we hired a bunch of contractors and watched it happen, I mean we actually did 90% of it! The weekend after his diagnosis over 30 people showed up to work on the house, babysit, and provide food. So much work was being done that the two of us only had time to run around answering questions and they worked so quickly that I made 3 HUGE supply runs in that weekend alone. We started that month with probably two months of work left on the house and a little over 3 weeks later we were able to move in, two days before my husband's surgery. There were so many other miracles in those months but this one touches my life daily as I walk through my house and see the physical evidence of all those wonderful people's love. I shared the giveaway on facebook and on my blog. Thanks for the opportunity! Recently my husband and I have experienced some difficult marital troubles, in truth it has been ongoing for about a year and a half. He is uncertain about what he wants in life, and that includes me. I have spent alot of time on my knees and at the temple. One such morning I was attending a morning session. I was not teary eyed this morning or even visibly upset. But a sister sitting next to me in the session leaned over and whispered, "I do not know you or what you are going through but the spirit has urged me to tell you that it will be all right." She gave my hand a squeeze and turned away. Needless to say that sweet miracle was a balm to my troubled heart and continues to give me strength each day. I am the recipient of miracles every day. Each day that I am given is a miracle, it's a miracle that I am going through school (and almost done!) and it's a miracle that I have been able to have such a wonderful family, in-laws count too! I have seen so many good things happen in my life, and I thank heaven for them. I experience miracles on a daily basis. My most beautiful miracle calls me mommy. It took us 12 years of trying to get her here. She is practically perfect in every way--because she's ours! I've experienced many miracles in my life. A few of my greatest are my children. They keep me humble and grateful. This is a wonderful giveaway, thank you. the two greatest miracles that I have been a recipient of are my two children. After years and years of striving to build a family in our empty home & hearts, our children were miraculously brought into our lives through the miracle of adoption. 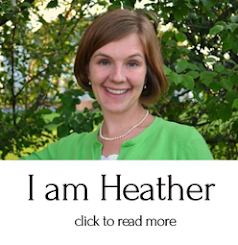 I was in a serious car accident with all four of my young children in the car with me. It totaled our suburban. The worst that happened was one on my girls broke her arm. The emergency personnel were amazed that there weren't more serious injuries. I received a blessing stating, "you were not alone, angels were with you." And I know they were. Protecting my children through the wreck. The miracle that has an impact on my daily life is the miracle of forgiveness. after making some mistakes in my youth I was able to marry my amazing husband in the temple. thankful everyday for that miracle. My son was a miracle. He was born prematurely and was in the NICU for 10 days. The other part of the miracle is the fact that I was in the hospital pregnant 3 weeks prior to his birth. During those 3 weeks my husband had an Army training thing where he would have been gone for 2 of the 3 weeks. The Dr wouldn't wait for my husband to be done to deliver, so I begged my husband to come back. He was able to. The following year (my son's 1st year of life) was a very trying year with illness and death of close relatives. It also would've been a year my husband would've been sent into Iraq, but since he missed that training he didn't go there that year (when I needed him most). I had had dreams and fears that he would go into Iraq and I'd never see him again. A miracle that me being in the hospital when I was pregnant with my son kept my husband safe. My husband did go overseas the 2nd year of our son's life, but he went to Kuwait where he got to meet one of my cousins and M Russell Ballard. I have been the recipient of a miracle three times with each of my children :) I don't always consciously realize it, but they are SUCH miracles I get to be with everyday! I am a different (better!) person because of them. Also, I think it was truly a miracle how I came to find the church. I don't want to describe it all here as it's very personal, but it is not something I would ever want to experience again, but I know that it had to happen for me to learn and grow and be open to the Gospel. And the people along the way were each specifically supposed to be there. Such a miracle and a blessing! I am beginning to understand the miracles the surround me daily are the most important. Christ is still a new concept to me having grown up in a secular and atheistic home - learning about grace is very much a miracle. This next week we as a RS are having an extra RS meeting about the miracles we have experienced as we've read the Book of Mormon since Christmas. For me, the miracle I'm hoping for is that I will accept and honor God's will for me. When I have, I have seen the right graduate program, better relationships with my Grandparents (and missing them terribly as they have passed), and the miracle of family. I hope for the miracle of life again to expand our family. I have seen many miracles in my life. Perhaps the biggest one is my 5-year-old. I tried for a vbac with him and when the cord prolapsed we were rushed to do a csection. He was born unresponsive. It is a miracle that he is alive and (because they think he may have had a seizure during birth) has no brain damage. Sometimes when he is teasing his brothers or running around like a madman I forget what a rough start he had! It is a beautiful miracle that Heavenly Father has entrusted 2 beautiful children to me and my husband. It is also a miracle that our almost 2 year old is alive, as he had meningitis at 3 1/2 months old. No long-term complications from the meningitis and the chemical burn he sustained on his hand when an IV burst didn't cause any lasting damage to his movements. Many blessings. What a beautiful book. I would Love to receive it! Miracles I have experienced might be too special to share but many I see daily are also too common to be noticed by others. The Savior lives. What a supreme gift that knowledge is! My miracle isn't a single moment; it's the every day ups and downs of life that are swallowed up in the Grace of God. The miracle of the atonement has wrought a powerful influence on me over the past few months and my soul has been strengthened considerably. I can look back on my life and see His presence. That is a miracle to me. I was going to comment on your Friday post to tell you I just bought this book for my mom's birthday coming up because of your recommendation. But I would LOVE my own copy! My miracle happened a few weeks ago. I had been praying for a missionary experience, with a specific timeframe, and was impressed to invite a neighbor over for dinner with the missionaries. I was surprised that she was totally open to the idea and even expressed that she's church shopping right now. We had a nice dinner and were able to give her a Book of Mormon. I don't know where it is going to go from here, but I felt like I saw the hand of God working in my life for even that much to happen. I am blessed with miracles on a daily basis. My children being healthy and safe...my husband being healthy and safe...and my own health and safety. Each minute here is a blessing. The most wonderful miracle that has happened in my life is my youngest daughter............she literally saved my life!!! We found out I was expecting and they did a pap test.......only to realize that I had some abnormal cells. I had to have some surgery and was able to carry her to full term! And I have had no signs of abnormal cells since then. If I hadn't been pregnant, I wouldn't have gone to the Dr and who knows when the abnormal cells would have been discovered. It had been 5 years since my previous Pap test. Now I get them every year and encourage everyone I know to do that too!! I'm really excited about this one, so thanks for the opportunity. This may sound forced, but it's very sincere. I had a 10-hour-long job interview yesterday that I was really nervous about, and it was full of small miracles that proved to me that God was watching out for me and offering me his strength. This looks like a lovely book! I think my most recent miracle was when my 14 year old broke his arm and jaw, there were so many little things that went right that day that made the experience so much better. When I was 12, my dad was finishing up a job contract and didn't have another job lined up. We and our extended family fasted and prayed, and my dad was offered an amazing job in a country with great healthcare so that my mom could give birth to my little brother safely! I truly believe miracles are happening all the time - but we may not see or acknowledge the small ones. One of the big miracles in our lives is the fact that my son, born at 25 weeks gestation, is alive and healthy. He is two now and every day I am so humbled by the miracles we have witnessed during his life. My first thought was that the biggest miracles in our life are our children who are adopted, and the process that it took to get them here. But thinking about it, I think maybe a bigger miracle is the healing of my heart after a failed adoption destroyed my spirit for a time. The atonement is incredible. I have been blessed to receive many miracles in my life. Here's one...I was born to my mother out of wed-lock. I never knew my biological father. My mom married another man (my dad) who adopted me when I was four, so my life was great, but I never knew half of my physical identity. two years ago, I got this idea randomly (well not randomly...I'm sure it was the Spirit). I should look up the name of my biological father on facebook. I found him! I found my father on facebook. That's not even the end of the miracles. I was afraid, but I contacted him, and he was happy about it. He had wondered about me for the thirty-one years that had passed since my mom had me. He has been married and has three other daughters. Everyone has been gracious and has accepted me and extended so much love to me. I am so grateful for those around me who are sensitive to the Spirit when, I myself, am being super pig-headed. I could have made a serious mistake in my life, because I was only accepting the half of the Lord's answer that I liked. Of course, this has been a learning experience. My stubbornness was trying to fight the inevitable heartbreak for something I thought I had really wanted. Although right now I am having to accept this heartbreak, I know my faith and reliance on the Atonement can strengthen me through this trial. This past year I've had many miracles with my health. First, finally bring diagnosed, & then being able to cope. Many priesthood blessings have resulted in miraculous blessings. People wonder if there are miracles today. We can read in the scriptures of countless miracles, but do we have them now? I can say that yes everyday is a miracle. I could tell of times that myself or family/friends have had health struggles and have been blessed (my son being one). I could tell of financial or spiritual trials. We all experience them, that is why we are here, to see if we will endure and draw closer to our Savior. I want to testify to you that I know and believe in miracles. You wake up, you breathe, you can move, these in itself is a miracle. Look outside at the beauties that are around you. Even the miracle of rain, snow, and wind. The ability to grow things. The miracle of life http://www.youtube.com/watch_popup?v=fKyljukBE70 , the ability your body has to heal itself. The peace you can find in forgiveness and repentance. Do we have miracles? Yes! About four years ago, I was a full time working mother of three children and had just discovered that I was expecting my fourth. With this pregnancy I discovered I would need surgery before my 16th week and with work I wasn't allowed to take time off, so I had to exercise faith and quit my job and move to a new location within two weeks time. Because of the circumstances of pregnancy, surgery and moving I wasn't allowed to carry much. My sister in law jumped into action and packed my entire house, watched my children while we took the time to move and then unpacked my house, watched my children some more and made dinners for us for about a month. I had surgery the day after we moved and it took me a good three week to recouperate and function "normally" afterward. She sacrificed her time, money and talents to care for me and my little family so much so that I will never, ever forget the feelings of complete love and awe as she jumped into action without a second thought! I will forever be indebted to her and her family, but I also learned and declared that I, too, would sacrifice like she did whenever I was needed. Such a humbling experience for me. Life is my miracle! I am so thankful for my birth mother who loved me enough to give me up for adoption, and then for my wonderful parents who raised me and taught me to love unconditionally. My husband who loves me for who I am and our five children who we have raised together, and now we get to reap the rewards of another generation with six grandchildren with hopefully more to come. "Mary Kept all These Things and Pondered Them in Her Heart" by Howard Lyon.